Although 85% of the children in Rutegama are enrolled in the area's 19 schools, eight of these schools need extensive rehabilitation, and four are incomplete. Classrooms are overcrowded, and there isn't sufficient space to accommodate all the school-age children. As a result, children start school late, often at the age of eight or nine. 19% of the teachers are unqualified, which, in combination with the dismal school environment, makes it very difficult for pupils to get a quality education. The pass rate for primary school ranges from 40% to 66%. Enrolment has been decreasing, and the dropout rate has increased to 8%. This is not only because of the poor quality of education, but is also due to poverty and rampant household food shortages. Hunger causes many children to leave school and go into domestic labour in order to get enough food. Very few children successfully complete primary school. There are only two preschools, and these accommodate only 50 children. This means the majority of children start primary school without any preparation. Although vaccination and health care are free to children under the age of five and pregnant women, very few can enjoy this opportunity because of long distances to health centres. People in need must walk an average of 15 km to one of only two existing health centres in the area. Even if they can get there, there is no guarantee that the centre will have medicines in stock or a qualified health worker present. 7.6% of the population is HIV positive; double the national rate. 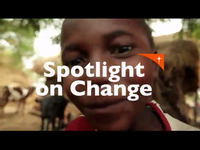 A deadly combination of malnutrition and disease threatens children's lives in Rutegama. Children already weakened from malnutrition are more likely to fall sick. Nearly 29% of children under the age of five are underweight, and more than 37% have stunted growth. This because families are unable to produce enough nutritious food, health care is hugely inadequate, and hygiene and sanitation practices are poor. With no training available on child nutrition, parents don't realize the importance of producing a variety of foods for their family. They traditionally grow sweet potatoes as their children's main source of food. This nutritional imbalance has a negative effect on children's health. It impairs their physical growth, and, in severe cases, slows their mental development. Clean water is also scarce, so it's difficult for families to practice good hygiene. This leads to the spread of diarrhea and other diseases among young children. 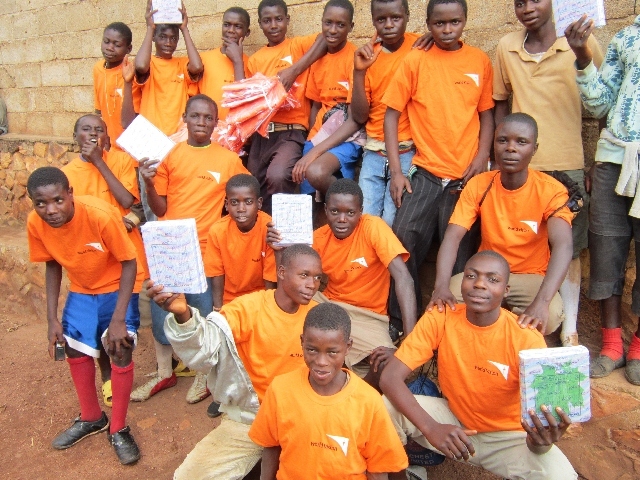 Malaria is common, and causes more deaths than any other disease. 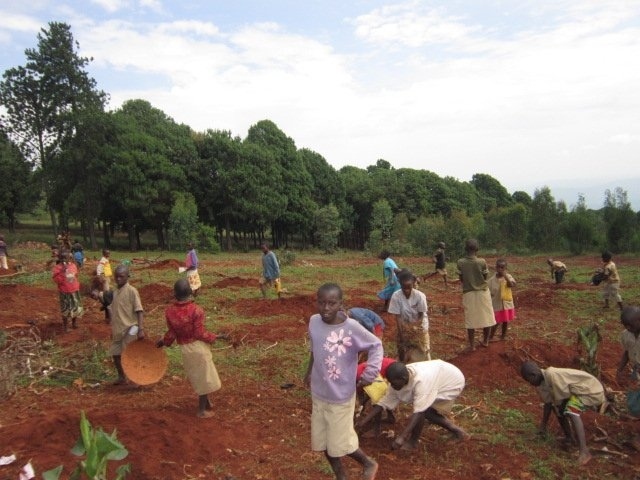 Families live off the land, struggling to grow enough food using labour-intensive traditional methods like the hand hoe. Unfortunately, Rutegama has the lowest agricultural production in the province. The agricultural staff there are unqualified to advise farmers on efficient farming practices. Most farmers harvest seeds from their own crops, but are not informed on effective seed selection or seed multiplication techniques. Improved seeds are expensive and hard to find locally. In desperation, some families end up selling or eating their last remaining homegrown seeds, which forces them to pay high prices for similar seeds at planting time. In their efforts to produce enough food, farmers tend to overuse the land, depleting the soil and making it even less productive. Many trees have been cut down for firewood and lumber and have not been replaced, and little is being done to protect the soil from erosion. Years of civil war have left children traumatized and living in unsafe situations. Parents are often forced to leave their children at home while they work. Most cases of child exploitation, neglect, and abuse are neither reported nor addressed. The rights of children are often not a priority in the community, and can put children at risk when overlooked. 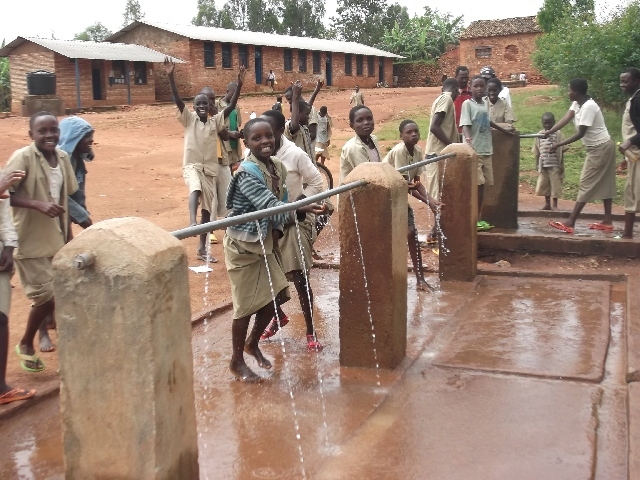 The Rutegama community is located in central Burundi. It is a rural area where the main crops cultivated are beans, maize, cassava, sweet potatoes, bananas, and pumpkins. Agricultural productivity is generally very low, and most households are unable to produce enough food to last from one harvest to the next. Some try to supplement their farming income with casual labour, handicrafts, brewing banana beer, and petty trading. There has been a tremendous reduction in rainfall over the past ten years in Rutegama. Dry seasons have become longer, and rainy seasons unpredictable. This has drastically affected families food production. Crops that don't dry up are often destroyed by rain-induced floods or landslides. This reduces household incomes and increases poverty, leaving families hungry. Years of civil war and the spread of AIDS have devastated community life. Many people were killed, others were displaced, and children were traumatized. A large number of people are marginalized and extremely vulnerable to poverty, including orphans, female-headed households, people with disabilities, the chronically ill, elderly grandparents supporting young children, and displaced and landless people. The children of these families are even more disadvantaged. Collaborate with the government to establish a community-based basic education improvement plan. Increase information and sensitization on the importance of education. Train school management committees to actively improve the education environment. Mobilize parents and community members to get involved in the education process. Restore damaged classrooms, complete unfinished classrooms, and build additional ones. Establish early childhood development centres. 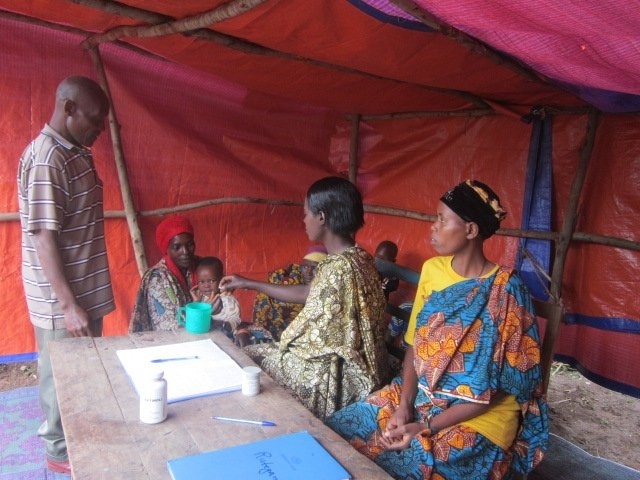 Train and support health workers and community leaders on key health interventions, including health education, malaria and diarrhea prevention and treatment, immunization, and HIV counseling and testing. Work with government and health partners to establish more health centres and support existing ones. Train community health workers, mothers, and mothers-to-be on infant feeding and the preparation of healthy meals using locally available foods. Treat malnourished children with supplementary feeding and treatment. Train and equip farming families to start nutrition gardens and poultry projects. Provide vitamin A supplements to children in need, and iron supplements to women. Rehabilitate non-functional water sources, and support the community to construct additional water points. Support voluntary guide mothers to teach about reproductive health and the prevention of mother-to-child transmission of HIV and disease. Work with churches and community groups to increase community-based care and support for orphans, vulnerable children, and people living with HIV and AIDS. Train farmers in new agricultural techniques that will increase production. Increase access to improved farming supplies, including fertilizers and improved seeds for high-yielding, drought-tolerant crops. Equip farming groups and community associations with skills to sustain their projects. Work with the government agriculture office and support the training of agricultural workers. Train community members in environmental protection, soil conservation, and reforestation to counteract climate changes. Support families to grow nutritious food crops, including peanuts, soya beans, and yellow fleshed sweet potatoes. Provide improved chickens, as well as training and materials, to establish poultry projects, especially in vulnerable families. Train community members on child rights and supporting community advocacy initiatives. Form children's clubs where children will learn to speak out about issues that affect them. Empower local associations, committees, churches, and the community as a whole to ensure that children's rights are upheld. Establish an effective community child protection committee. Passing the "Flame of Peace"